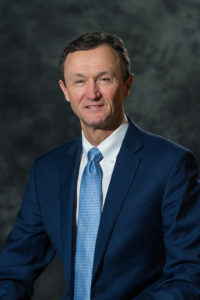 Larry M. Shaw has been with the Company since 1982 and serves as President and CEO. Prior to being promoted to President & CEO in 1995, Mr. Shaw served in various capacities, including Chief Operations Officer, Vice-President, and Secretary. He also held various positions within the Underwriting Department from 1982 to 1992. He holds a Bachelor of Science Degree in Business Administration from the University of Maine and a Master of Science Degree from Husson College. Mr. Shaw also attended the Executive Education Program at Harvard Business School and at the Wharton School of Business. He is a Chartered Property Casualty Underwriter (CPCU). He has also earned an Associate in Underwriting (AU) designation and a Certificate in General Insurance. Mr. Shaw serves on the Board of Directors of the National Association of Mutual Insurance Companies (NAMIC). 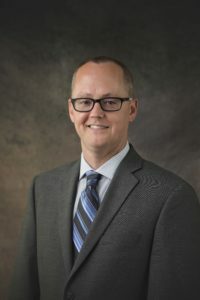 Additionally, he serves on the University of Southern Maine Risk Management and Insurance Program Advisory Board and on the Board of Directors of Maine Early Learning Investment Group (MELIG). Mr. Shaw is a member of the TAMC Investment Committee and serves on the Mark and Emily Turner Foundation Scholarship Committee. Mr. Shaw is a past member of the Board of Directors of Aroostook Partnership for Progress (APP) where he served as Chairman, Secretary and Treasurer. He is a past Chairman of the Board of Directors of the Maine Development Foundation, a past member of the Governor’s Board of Visitors for the University of Maine at Presque Isle, is a past member of the Governor’s Financial Services Economic Development Group, and served on the Maine Leadership Council for Anthem Blue Cross and Blue Shield. Mr. Shaw is a recipient of the Maine CPCU’s Lee Allen President’s Award for Excellence. He was inducted into the Junior Achievement Maine Business Hall of Fame in 2015. 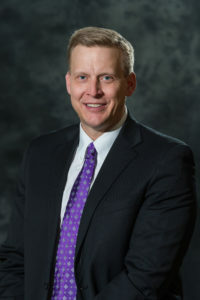 Matthew R. McHatten joined the Company in 2001 and serves as Executive Vice President, Chief Operating Officer, Secretary and Clerk. He previously served as Sr. Vice President of External Operations, Vice President and Marketing Director. 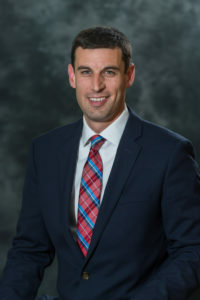 Mr. McHatten holds a Bachelor of Science Degree in Business Administration and Finance from the University of Maine and also has attended Executive Development Programs at Dartmouth and the University of Virginia. He was previously employed by Key Bank’s Corporate Banking Division as a Vice President and Relationship Manager. 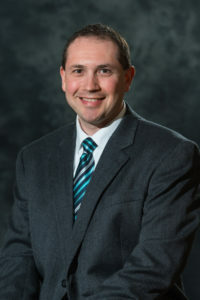 Mr. McHatten is a member of the University of Maine Foundation, a Member of the Advisory Board for the Maine Center for Graduate Professional Studies and Vice Chair and a Board Member of the Aroostook Partnership. 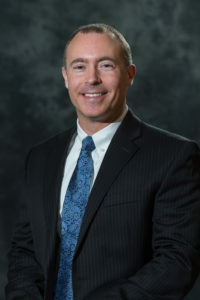 He is immediate past Chair and member of the University of Maine Business School Advisory Board and past Chair and member of the National Association of Mutual Insurance Companies (NAMIC) Management Conference Board. He is a past member of the Hartford Steam Boiler Advisory Board, past President and member of the Presque Isle Rotary Club, past Trustee of Nordic Heritage Sport Club, and past President and member of the Board of Directors of the Central Aroostook Association. Mr. McHatten is a Rotary International Paul Harris Fellow, recipient of the NAMIC Merit Award and was named to the 2010 MaineBiz Next List, an award presented annually to ten individuals recognized as being influencial in the future of Maine’s economy. Michael M. Young has been with the Company since 1994 and serves as Sr. Vice President, Chief Financial Officer and Treasurer. Prior to joining the Management Team at MMG, Mr. Young worked for the Maine Insurance Department for over ten years. Mr. Young held various management positions and was responsible for financial regulation of Maine’s insurance industry. He holds his Bachelors Degree with a double concentration in Accounting and Finance from the University of Maine at Orono. Mr. Young is a Certified Public Accountant and Certified Financial Examiner as well as a member of the American Institute of Certified Public Accountants, the Maine Society of Certified Public Accountants, and the Society of Financial Examiners. Mr. Young serves on the Northern Maine Community College Foundation Finance & Investment Committee. 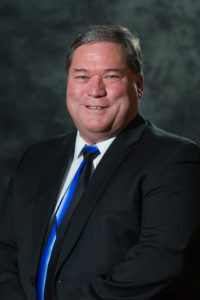 He is a past member of the Northern Maine Community College Accounting Information Systems Program Advisory Committee, a past member of the Board of Directors for the United Way of Aroostook and is a past member of the Board of Directors of the Presque Isle Country Club. He is a former Chairman of the Maine Chapter of the Society of Financial Examiners and past President and Vice President of the Chapter. He previously served as a Board member and Chairman of the Board of Notre Dame Waterville Federal Credit Union. He is a past Coach and Vice President of the Presque Isle Youth Hockey organization. Mr. Young is a past member of the Presque Isle Rotary Club and a past Director for the Aroostook Aspirations Initiative. Mr. Young has been recognized by the Presque Isle Rotary Club as a Paul Harris Fellow. 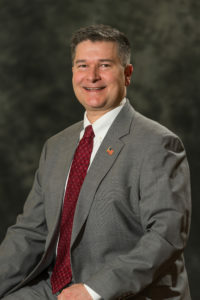 Timothy W. Vernon has been with the Company since 1986. Mr. Vernon serves as Vice President Property Claims, overseeing the Property Claims area. He also oversees the Governmental affairs of the Company together with all loss control efforts. He holds a Bachelor of Science Degree in Business Administration from Husson College. Mr. Vernon is a graduate of the Maine Criminal Justice Academy Police School in Waterville. 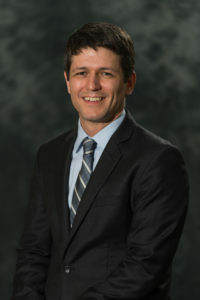 He is a member of the Society of Claim Law Associates and holds the designation of Senior Claims Law Associate (SCLA). He holds an Adjuster’s license in the States of Maine, New Hampshire and Vermont. He is a licensed Lobbyist in the State of Maine. He serves as Chairman of the Board of Directors of the Maine Insurance Guaranty Association and is also a member of the Board of Directors of the Vermont Insurance Guaranty Association. He is also a member of the Guaranty Fund Management Services Board of Directors and serves as Chairman of the Executive Board. Mr. Vernon is the President of the Maine Association of Insurance Companies (MAIC). He is also a member of the National Association of Federal Affairs Committee. Mr. Vernon is a licensed International Referee with the International Biathlon Union and has served as the Chief of the Shooting Range for the 2011 and 2016 IBU World Cup Biathlon events and the 2014 Jr. World Biathlon event, all held in Presque Isle. 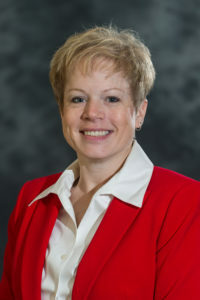 Stacy L. Shaw joined the Company in 1998 as a computer programmer. He serves as Vice President and Chief Information Officer. He previously held the positions of Information Systems Manager, Assistant Vice President, Assistant Information Systems Manager, Senior Systems Analyst/Engineer, Programmer/Analyst, and Programmer. Mr. Shaw holds a Master of Business Administration (MBA) degree from Husson University as well as dual Bachelor of Science Degrees in Computer Engineering and Electrical Engineering from the University of Maine with a minor in Computer Science. He attended summer school at Harvard University for computer science. He is a member of the University of Maine at Presque Isle Foundation Board. He is a member of the Institute of Electrical and Electronics Engineers (IEEE). Mr. Shaw is a Past Director and President of the Board of Directors for the Central Aroostook Chamber of Commerce. Corey Graham joined MMG in 2006 as an Examiner before becoming Casualty Claims Manager in 2010. Mr. Graham has been employed in the insurance industry since 1992 holding various positions including Producer, Litigation Examiner, and Regional Casualty Claims Specialist. He holds a Bachelor of Science Degree in Criminology from the University of Southern Maine and a Master of Business Administration Degree from Husson University. He has also earned the Associate in Claims designation from the American Institute for Chartered Property Casualty Underwriters, his Legal Principles Claim Specialist designation from the American Educational Institute and his Certified Scrum Product Owner from Scrum Alliance. Mr. Graham is a member of the Advisory Council of the National Association of Independent Insurance Adjusters and serves on the Advisory Board for RISE, a national organization focused on recognizing and advancing young professional talent in the insurance industry. He is also a member of the Atlantic Executive Claims Association and former member of the Executive Committee for Presque Isle High School Project Graduation. Mr. Graham is the past President and Vice President of the Northern Maine Claims Association, past member of the Board of Directors for the Piscataquis Regional YMCA, past Board Member for the Dover Foxcroft Kiwanis Club, and past Planning Board Member and Appeals Board Member for the Town of Dover Foxcroft. Douglas Hazlett joined the Company in 2012 and serves as Vice President and oversees Product Management. He previously served as Personal Lines Manager and Personal Lines Senior Business Analyst. Hazlett holds a Bachelor of Science Degree in Business Administration from Bryant University. He was previously employed by The Hartford Insurance Group serving various positions in Underwriting and Marketing in New York City and Hartford, Connecticut; including Director of Personal Lines Operations for the company’s Southern Division; Director of Personal Lines Research; Director of Personal Lines Marketing; and Assistant Vice President for Strategic Planning. Mr. Hazlett served as an independent consultant for Milliman Consulting, an international consulting firm specializing in the insurance industry, and as the Town Manager for the town of Houlton, Maine. Mr. Hazlett is a current member of the Board of Trustees for the Houlton Regional Hospital; a former member of the Board of Directors for the Northern Maine Development Commission; and was appointed by the Governor to the State Emergency Response Commission from 2008 to 2012. Mr. Hazlett was named the Rookie of the Year for the Maine Municipal Association in 2005, and awarded the President’s Award for Community Service by the Southern Aroostook Development Commission in 2009. John B. Herweh joined MMG in 2016 and serves as Vice President Human Resources. He brings nearly 20 years of experience from human resources management and senior technical roles within mid-sized to large companies. Prior to joining MMG, his immediate previous position was Vice President of Human Resources with a government contract IT services firm located in Washington DC. Previous, Mr. Herweh also held employee relation and senior staffing roles with Perdue Farms and the Hershey Company. Key areas of his expertise are strategic workforce planning, performance management, and legal/regulatory compliance. Mr. Herweh has a degree in Business Management from Gettysburg College and a Master of Business Administration from Salisbury University. He also has completed certificate programs including Senior Professional in Human Resources from the Society for Human Resources Management. Mr. Herweh is a Board Member of the Northeastern Workforce Development Board, serves as Chair of the Board of Trustees’ Governance Committee for The Maine School of Science and Mathematics, and is a member of the Board of Directors for The Aroostook Medical Center (TAMC). Matt Cote has been with the Company since 2008 and serves as the Vice President Marketing and Business Development. He previously held the positions of Personal Lines Manager, Assistant Personal Lines Manager, Commercial Lines Senior Underwriter and Commercial Lines Lead Underwriter. Mr. Cote holds a Bachelor of Science Degree in Business Administration from the University of Maine and a Master’s Degree in Insurance Management from Boston University. He earned his Chartered Property Casualty Underwriter (CPCU) designation in 2013. He is a 2009 graduate of the Young Professionals Institute. Mr. Cote was recently installed as President-elect of the Maine CPCU Society Chapter. 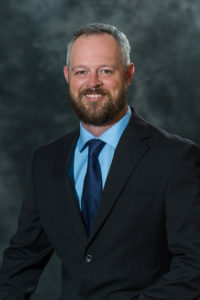 He is a past steering committee member for Momentum Aroostook and a past committee member of the Maine Insurance Agents Association’s Young Agents Committee. Derek Hochradel joined MMG in 2017 and serves as Vice President Commercial Lines. He brings more than 20 years of experience in middle market commercial lines management and underwriting. His background includes responsibilities in a broad cross section of commercial lines products, underwriting talent development, loss control, and technology modernization efforts with large regional carriers. He is a graduate of The Ohio State University and a native of Ohio. Mr. Hochradel enjoys volunteering with Habitat for Humanity, the United Way and youth sports coaching. Eric W. Tawfall joined MMG in 2017 and serves as Vice President Personal Lines. He has more than 19 years of experience in a variety of underwriting and management roles as well as with research, affinity marketing, and pricing for large national carriers. He has also led product management on a regional and national basis. Throughout his career, he has worked closely with independent and captive agency distribution networks in developing various strategies and working to effectively deliver them to the marketplace. Mr. Tawfall holds the CPCU designation and is a graduate of Eastern Illinois University with a B.S. in Finance and an MBA. Prior to his move from Illinois to Maine he was active in his local community and supported the Macoupin County Animal Control and Adoption Center. 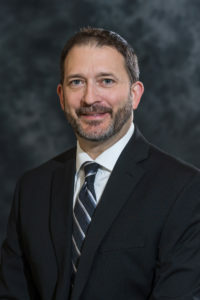 Kevin Levesque joined the company in 2017 and serves as the IT and Information Security Director. Prior to joining MMG, Mr. Levesque held positions as Director of Information Security with Wolters Kluwer, Global Business Service Division – Global Security, Compliance and Governance; Director of Information Security and Senior Director of Information Technology with CCH Incorporated. Mr. Levesque has a diverse technical and business background with more than 25 years of experience in technical infrastructure, cyber security strategy, technical operations, as well as governance, compliance and risk management programs. Mr. Levesque attended Husson College’s Bachelor of Science Program in Business Administration and earned his Associates Degrees in both Computer Information Systems and Business Administration from Northern Maine Community College. He attained his Federal IT Security Professional – Manager certification from the Federal IT Security Institute in 2011 and has held various other industry certifications throughout his career. Additionally, Mr. Levesque is a current member of the FBI InfraGard critical infrastructure program and has been a past Advisory Board Member for the Caribou Regional Applied Technology Center Advisory Board, Northern Maine Partnership Advisory Board, Caribou School System Technology Advisory Board, and the Northern Maine Technical College Advisory Committee. 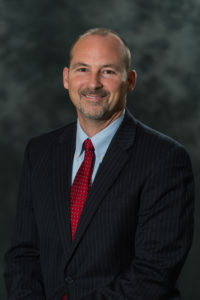 Keith D. Sperrey joined the Company in 1999 and currently serves as Marketing Director. He previously held the positions of Assistant Personal Lines Manager, Personal Lines Lead Underwriter, Personal Lines Underwriter and Personal Lines Associate Underwriter. Mr. Sperrey holds a Bachelor’s Degree in Business Management from University of Maine at Presque Isle and an Associates Degree in Business Administration from Northern Maine Technical College, Presque Isle, Maine. He has earned designations of Associate in Personal Insurance (API), Certificate in General Insurance (INS), and Associate in General Insurance (AINS) through the Insurance Institute of America. Currently, Mr. Sperrey serves as a board member on the PIA of Virginia – Company Executive Advisory Council. Lastly, he has been active within the local community and is a past member of various boards, committees and public service. Dianne C. Collins has been with the Company since 1985 and serves as Customer Service Manager. Previously she served as Assistant Personal Lines Manager. She has held various positions in Personal Lines Underwriting, including Assistant Underwriter, Staff Underwriter and Senior Underwriter. Ms. Collins is a Chartered Property Casualty Underwriter (CPCU) and has also earned Associate in Underwriting (AU) and Certificate in General Insurance designations. She has also earned a Certificate in Management from the University of Maine at Presque Isle in cooperation with the American Management Association. She is a Junior Achievement volunteer, she has previously served on the Board of Directors for Aroostook County Action Program, on the Board of Directors for the United Way of Aroostook as well as the General Education Advisory Committee of Northern Maine Community College. She is a previous member of the Presque Isle Kiwanis Club. Michael A. Thibodeau joined the Company in 2005 and currently serves as Accounting Manager. Prior to his current position, Mr. Thibodeau served in various capacities including Senior Accountant, Director of Compliance and Risk Management and most recently Customer Service Manager. Mr. Thibodeau came to MMG after serving more than 20 years with Maine Public Service Company in various management positions as Manager of Rates & Financial Planning; Assistant Treasurer; Vice President Human Resources; Vice-President Controller & Chief Risk Officer; and Vice-President Compliance and Risk Management. He also served with Key Bank of Maine as Assistant Vice President, Small Business Relationship Manager. Mr. Thibodeau earned his Associate BS Degree in Accounting from Northern Maine Community College and his Bachelor of Science Degree in Accounting from Husson College. In addition, he obtained a Certificate in Human Resources Management from the University of Maine. He is a graduate of Stone and Webster Management School, Harvard/MIT Labor Relations School, Cornell University Institute for Labor Relations, Leadership Aroostook, the Institute on the Maine Economy, and the Purdue University College of Call Center Excellence. 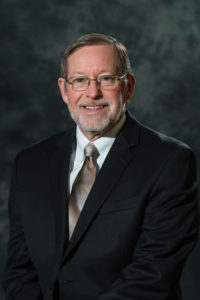 He serves as a member of the Board of Trustees of the Maine Community College System as well as a member of the Board of Directors of the Aroostook House of Comfort. 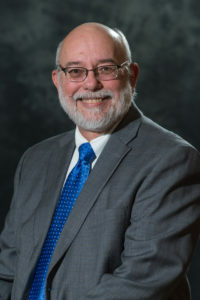 Mr. Thibodeau is a past Vice-Chair of the Northern Maine Community College (NMCC) General Advisory Council, a past member of the Board of Directors of the NMCC Foundation, and he also served as past President of the Board of Directors of the NMCC Alumni and Friends Association. In 2012 he was a recipient of the NMCC Foundation’s Eagle Award and in 2015, he was a recipient of the NMCC Torchbearer alumni award. Mr. Thibodeau is also a past member of the Board of Directors of the Presque Isle Rotary Club, a past member and Treasurer of the Sister Mary O’Donnell Homeless Shelter’s Board of Directors, past Chair of the St. Mary’s Catholic Church Finance Committee, and a past member of the Northern and Eastern Maine Tech Prep Steering Board. Jason D. Ennis joined the Company in 2009 as a Systems Architect and now serves as Enterprise Architecture Manager. He was previously employed by Unum Group as a Systems Consultant and Technical Architect specializing in underwriting and actuarial systems, then with CCH Incorporated, Wolters Kluwer as Enterprise Services Manager specializing in corporate tax systems and with ATX Forms Inc. as the Enterprise Knowledge Group Manager. Mr. Ennis attended Northern Maine Technical College’s Computer Information Systems program and has earned several Microsoft certifications. Mr. Ennis serves on the Nordic Heritage Sport Club Steering Committee. Allison Trepaney joined the Company in 2014. 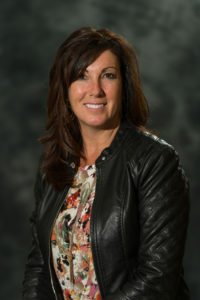 She currently serves as Regional Manager of MMG’s New Hampshire Office and is also responsible for the overall marketing efforts in New Hampshire. Ms. Trepaney previously held the position of Marketing Representative for MMG, and Business Development Manager with two large National Carriers. She also previously worked at a large independent insurance agency in New Hampshire, filling roles in Marketing and as a Producer. She holds a Bachelor’s Degree in Marketing from Southern New Hampshire University and also holds the Certified Insurance Counselor (CIC) designation. Ms. Trepaney serves as a Board Member of the New Hampshire/Vermont Chapter of the American Red Cross. Stephen Morgan joined the Company in 2014. He currently serves as Casualty Claims Manager. He holds a Bachelor’s Degree with a major in English and a minor in Political Science from the University of Southern Maine. He also holds an Associate’s Degree in Communications from Graham Junior College. Mr. Morgan has a very diverse and extensive claims background that spans 31 years with large national carriers. He has held various claims positions over his career including; Bodily Injury Adjuster, Total Loss Specialist, Property Adjuster, Theft Specialist, Field Claims Examiner and Auto Physical Damage Supervisor. He has been active in his community serving as the Westbrook High School chess coach since 1999 and previously involved in the Westbrook Grammar School chess program. He is Past Commander of the Sons of Union Veterans of the Civil War for the State of Maine and a past member of the Third Maine Volunteer Regiment-Civil War Re-enactment Group. He has coached little league baseball and been a youth soccer coach for many years in Westbrook. He has served on the Board of Directors for the Chess League of America from 2009-2013 and on the board of the Portland Chess Club, where he has been a member for 40 years. He volunteers with the Boys and Girls Club of Presque Isle. He volunteers with the Boys & Girls Club of Presque Isle. He also volunteers with school and youth chess programs with a free lecture and simultaneous exhibition. Toby Plummer joined the Company in 2005 and currently serves as Information Systems Manager. He previously held the positions of Webmaster, eCommerce Supervisor, Programming Supervisor, Assistant Information Systems Manager and the roles of Marketing Business Architect, Software Architect and Project Manager. 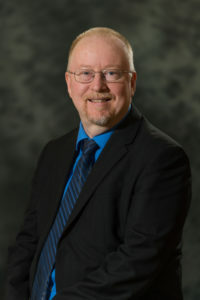 Mr. Plummer earned his Associates Degrees in Computer Electronics and Information Systems from Northern Maine Community College and his Bachelor of Science Degree with the Directors Award in Business & Technology from Husson College. He holds certifications from the ScrumAlliance as a Certified ScrumMaster (CSM) and Certified Scrum Product Owner (CSPO). He enjoys participating and volunteering at the Central Aroostook Humane Society, Aroostook House of Comfort, Special Olympics, Cub Scouts of America, Aroostook County Triathlon, Sugarloaf Marathon, Beach to Beacon and more. Mr. Plummer is a past Board of Director for the Presque Isle Snowmobile Club and the Presque Isle Rotary Club. 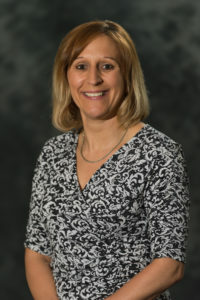 Evelyn Schronce joined the company in 2010 and currently serves as the Mid-Atlantic Regional Manager. She previously held the role of Senior Marketing Representative for Pennsylvania. She brings more than 25 years of experience in the insurance industry, having served in a variety of roles including production, underwriting, marketing, and management. She has expertise in the areas of underwriting, agency management, industry regulations, products and policy forms and has a comprehensive knowledge of agency-company interface technology. Ms. Schronce is an insurance professional with a passion for the insurance industry and a firm commitment to continuing education and professional development. 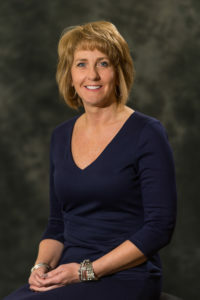 She holds the following designations: CPCU, CIC, AU, API, AIC, AFIS, AINS, AIS and serves as Chairperson of the Education Committee of the Pennsylvania Association of Mutual Insurance Companies (PAMIC). Terri L. Ouellette has been with the Company since 1998 and serves as Assistant Accounting Manager. She previously held the positions of Senior Accountant, Accountant, and Assistant Accountant. Ms. Ouellette holds a Master of Science in Business Degree through Husson College. She also holds a Bachelor of Arts in Accounting Degree and a Bachelor of Arts in Business Management Degree from the University of Maine at Presque Isle. She earned her Certificate in General Insurance, Associate in Insurance Services (AIS), Associate in Reinsurance (ARe) and Associate in Insurance Accounting and Finance (AIAF) designations through the American Institute for Chartered Property Casualty Underwriter Professionals (AICPCU). She has the distinction of being named Virginia Allan Young careerist in 2006 by the Caribou Business & Professional Women. She went on to compete at the regional and state level, capturing those titles as well. Ms. Ouellette serves on the Finance Committee of the United Way of Aroostook as an honorary member. She also serves on the Accounting and Business Administration Advisory Board of Northern Maine Community College. Andy Grass has been with the Company since 2003 and serves as Assistant Commercial Lines Manager. He previously held the positions of Commercial Lines Lead Underwriter, Personal Lines Lead Underwriter, and Personal Lines Underwriter. 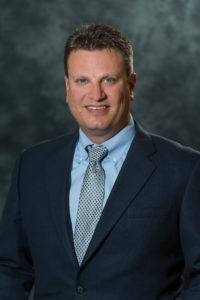 He holds a Bachelor’s Degree in Agribusiness and Resource Economics and an Associate’s Degree in Business Management form the University of Maine at Orono. Mr. Grass is also a graduate of the New England School of Banking and has earned his Chartered Property Casualty Underwriter (CPCU) designation. He currently serves on the Board of Directors for the Aroostook County Action Program and is a past President of the Greater Houlton Chamber of Commerce, past Treasurer of the Houlton Regional Health Services Foundation and past Board of Director of the Southern Aroostook Development Corporation. He is a past Board of Director and current member of the Presque Isle Rotary Club. Chantal Pelletier has been with the Company since 2005 and serves as Assistant Personal Lines Manager. She previously held the positions of Customer Service Representative and Customer Service Supervisor. 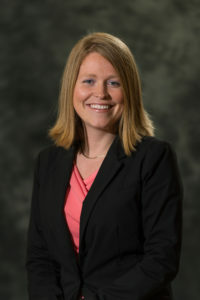 Ms. Pelletier holds an Associate Degree in Applied Science in Legal Office Administration from Northern Maine Community College, a Bachelor of Science Degree in Business Administration and a Master of Business Administration (MBA) degree from Husson University. She has earned through The Institutes her Associate in Personal Insurance (API), Associate in Commercial Underwriting (AU), Associate in Insurance Services (AIS), and Associate in General Insurance (AINS) designations. Through LOMA she has earned her Professional in Customer Service (PCS) designation. Ms. Pelletier earned her Chartered Property Casualty Underwriter (CPCU) designation in 2011. She is a 2010 graduate of the Young Professionals Institute and is a licensed Property/Casualty Producer. Ms. Pelletier serves on the University of Maine at Presque Isle Board of Visitors, the Aroostook County Relay for Life Leadership Committee, and is a member of the Presque Isle Rotary Club. She currently serves as a Den Leader for Cub Scout Pack 171 and received the 2014-2015 Spirit of Scouting Award. She is a past Assistant Den Leader and Faith Formation teacher at St. Mary’s Catholic Church. Abel Russell joined the Company in 2017 and serves as the Assistant Casualty Claims Manager. He holds his Bachelor of Science in Business Administration and MBA from Husson University. He also has earned an Associate of Science in Communication from the New England School of Communications and Legal Principles Claim Specialist designation from the American Educational Institute. Mr. Russell has 13 years of diverse claims experience with a large national carrier prior to joining MMG. Various claims positions included supervisory experience in Total Loss Handling, Bodily Injuries, Auto Physical Damage, Complex Coverage, and Fraud. 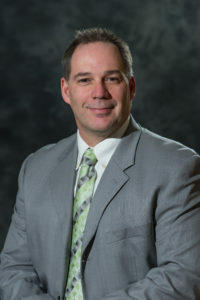 He holds Property and Casualty Adjuster licenses in Maine, New Hampshire, Vermont, Rhode Island, and Connecticut. Mr. Russell has held the I-CAR Platinum Individual designation and is a 2013 recipient of the Patriot Award from Employer Support of the Guard and Reserve. He has been active in his youth sports community by coaching local and travel baseball in southern Maine and he served on the board of the Gorham Youth Baseball and Softball Association.